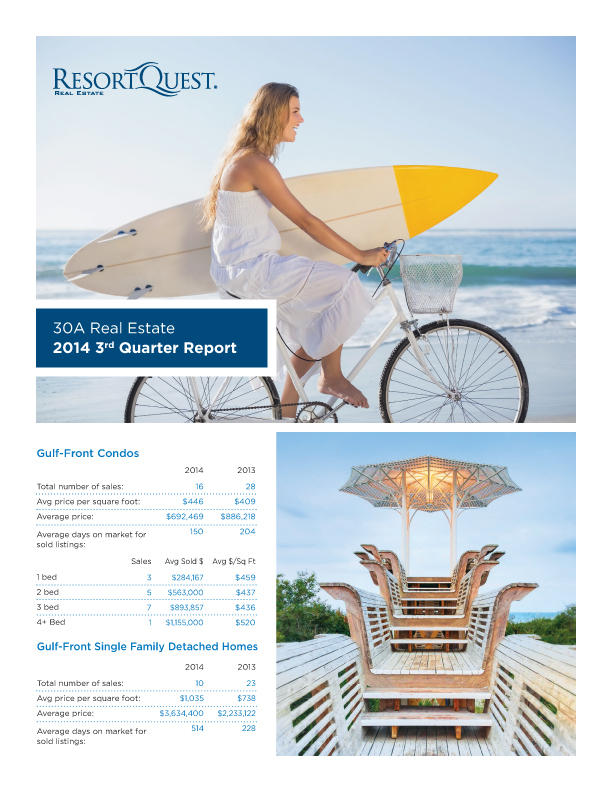 While sales along 30A are down in the third quarter, price per square foot is up! On Gulf-front single family homes, price per square foot is up 40% over the same time last year. 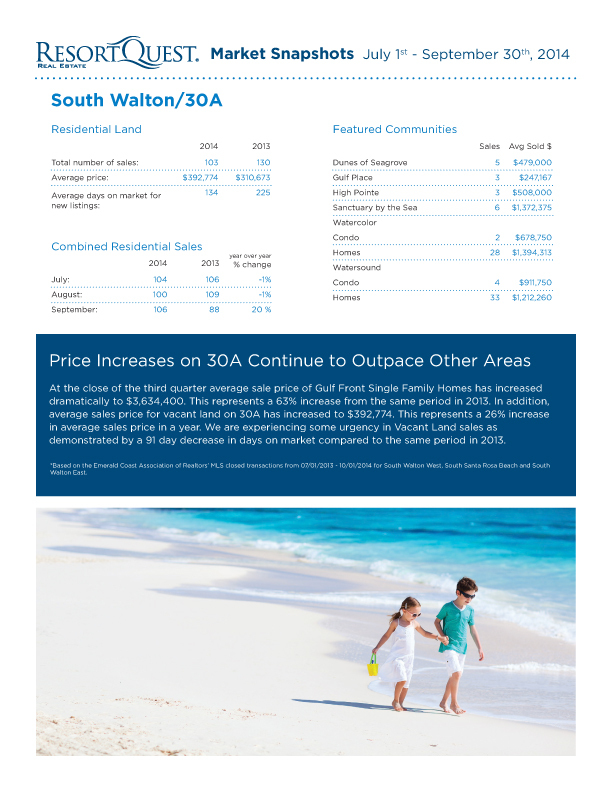 Read on to learn more about the current real estate market on Scenic Highway 30A in South Walton, Florida.